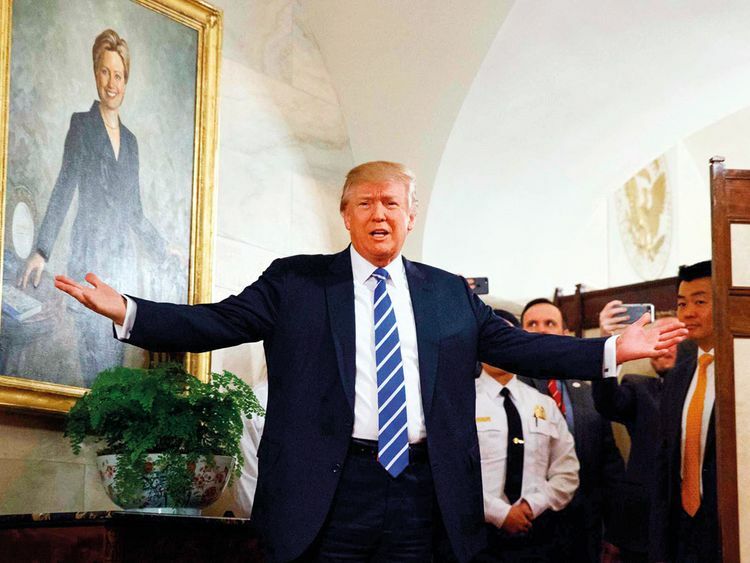 Washington: When President Donald Trump brings senators, New York friends or other guests to the Oval Office, he occasionally opens a door near his desk summoning guests to follow. Flashing a grin, he wants his friends to see where Monica Lewinsky and President Bill Clinton reportedly began their sexual encounters. “We’ve remodelled it since then,” he said on a tour in December, a person with direct knowledge of the event said. In another visit in 2017, Trump told a TV anchor, “I’m told this is where Bill and Monica ...” — stopping himself from going further, according to a new book by former White House aide Cliff Sims, “Tale of Vipers”, which was obtained by The Washington Post ahead of its publication Tuesday. Three other people who have embarked on a tour with Trump say he has made similar comments regarding Clinton and Lewinsky, laughing and making facial expressions. The subject often leads to lengthy, sometimes crass conversations, aides say. Often spending days ensconced in the presidential residence, Trump relishes giving tours to acquaintances and strangers by the hundreds, bragging all the while about improving it while he lives there, according to nearly a dozen visitors and current and former White House aides, most of whom requested anonymity to reveal details of the private events. With dangling new chandeliers and imported art work added during his tenure, sightseeing with guests in the White House is among his favourite activities, they said. 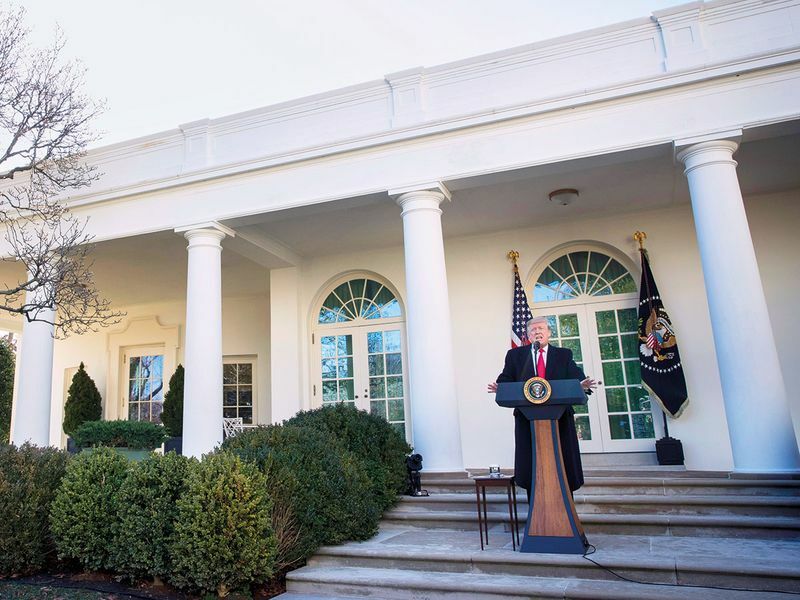 During the 35 days that the government was partially shut down over his demand for border wall funding, Trump gave looks inside the West Wing to a number of visitors, White House aides say. 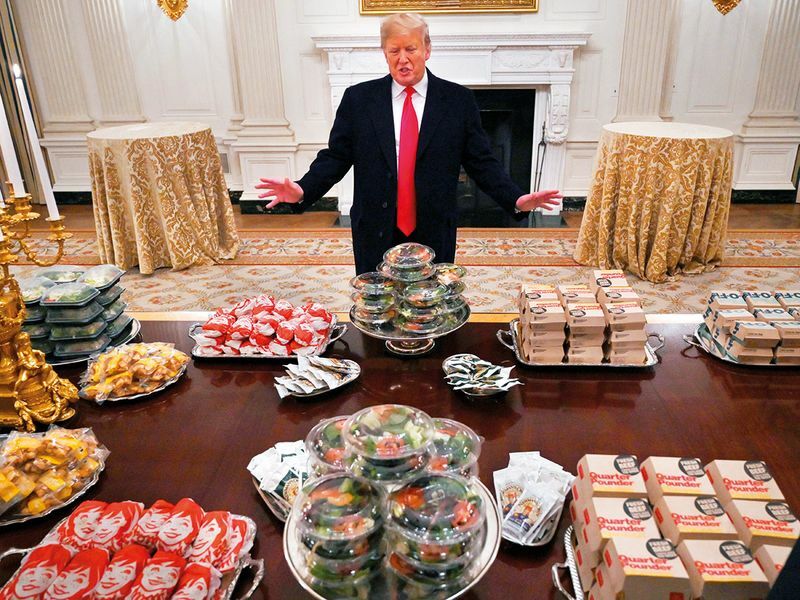 After hosting a fast-food feast for the Clemson Tigers football team on January 14, he surprised some players by bringing them into the Oval Office. You want to see the Lincoln Bedroom? The visits are often impromptu and usually involve several of Trump’s favourite spots, those who have been on the visits say. When the president finishes dinners with members of Congress, he often raises the same question: “You want to see the Lincoln Bedroom?” he asks, before beckoning lawmakers up the stairs. He often remarks how tall President Abraham Lincoln was and how short the bed is during these visits, before noting the nearby Lincoln desk and the Bill of Rights, guests said. A former Obama White House official, who requested anonymity because Obama does not generally respond to Trump’s remarks, said there was no hole in the wall and that Obama rarely worked in the room and did not watch basketball there. Other presidents have been varied in their reception to guests, but most did not give many elaborate tours, presidential historians and aides say. Clinton and Franklin Delano Roosevelt had many guests stay in the residence, Brinkley said, including visits by donors that drew controversy for Clinton. The former Obama aide said the 44th president often had friends, family members of staffers and others for White House visits, contrary to what Trump tells people on tours. “No one had ever seen the Oval Office!” Trump claimed during a recent meeting with business executives before bringing them into the room, according to two people present. A George W. Bush aide said he rarely took people into the residence, largely because his family was there. The Obama aide said he took only personal, close friends into the residence — “not D.C. officials,” the aide said. Trump, by contrast, has summoned hundreds, if not thousands, of people upstairs, aides say. The president’s desire to show off his abode fits a pattern. In Trump Tower in New York, he would show guests celebrity relics, like Shaquille O’Neill’s shoes, or signed magazine covers, or pictures with athletes. When he plays golf as president at his own clubs, he often brags about the courses and how they were redesigned after he bought them, said Sen. Lindsey Graham, R-S. C., and others who have played with him. “Is this the best turkey you’ve ever had?” he asked guests underneath the gilded ceilings of his Mar-a-Lago resort in Florida last Thanksgiving, according to a person who heard the comments. “Did you see how great those greens look?” he said to a recent golf guest. Aides say Trump is often in a gregarious and charming mood when showing off the residence, rather than the churlish demeanour he sometimes displays in West Wing meetings. Cosmetic updates happen with the transition of each new administration, of course, but I doubt any president has ever been as hands-on as The Donald. He has often groused about flies in the White House and has told groups that his aides have mixed luck in killing them. “Swarming everywhere,” he said at one point early in his presidency, according to a senior White House official, backing up an account in Sims’s book. He has also complained that the offices and the bathrooms in the West Wing do not meet his standards. Sims describes how Trump went through an extensive renovation and oversaw much of the overhaul. He brags about the art in the residence, showing Monet paintings and paintings of Lincoln and his top generals. He has at times mentioned Ronald Lauder, his New York friend, as approving of the art, calling Lauder “one of the greatest art buyers in the world,” according to a person on one tour. A person familiar with the comments confirmed Lauder had praised Trump’s paintings; a spokesman for Lauder declined to comment. Numerous people who have gone on the tours describe a president boasting about the artefacts and art in his temporary home. He often shows off the Louisiana Land Purchase, the Gettysburg Address and other historical documents, visitors say. He has commented on particular presidents — Andrew Jackson, who he praises, and Ulysses S. Grant, whom he called “not so good,” according to a person who visited his residence in 2018. He has also bragged during some visits about the pictures of him on the walls of the West Wing — including one with North Korean leader Kim Jong Un and another of his inauguration — and how photos of him get framed and hung quickly by White House staff when he asks. He is obsessed with the chandeliers in the White House and called the main staircase “beautiful, just really luxurious,” a person who heard the comments said. He brags about how many televisions there are in the West Wing and his fancy system of toggling between channels made for him — he calls it a “Super TiVo,” according to White House aides and Sims’s book. “I think it’s one of the greatest inventions,” Trump has said, according to Sims. The author said the comment was made “with a smirk, as if to acknowledge his reputation as a television addict”. He rarely takes guests into his private bedrooms — the residence is split into quarters, according to current and former aides. Aides say first lady Melania Trump does not conduct as many tours of the residence. As he has done often in a political career encompassing thousands of documented falsehoods, Trump has exaggerated at times in describing the tours. 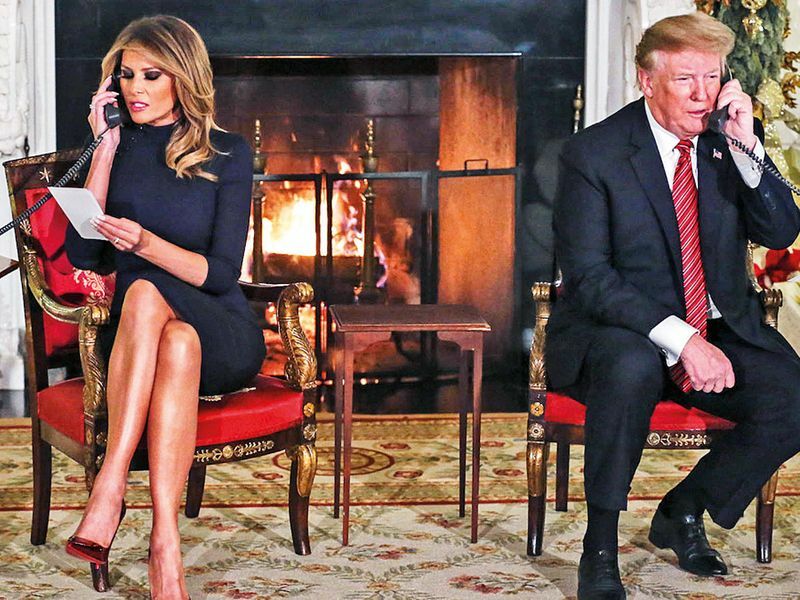 “They start to cry,” Trump has told others in explaining how people react when seeing the Oval Office, according to current and former White House aides.